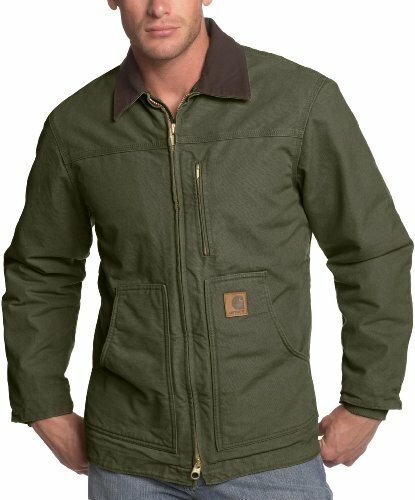 A sherpa-lined body and insulated, quilted-nylon lined sleeves add workday warmth and comfort to carhartt's sandstone ridge coat. Constructed of durable 12-ounce, 100 percent cotton, it offers a contrasting-color collar with under-collar snaps for an optional hood. There are two inside pockets, two front hand-warmer pockets, and a zippered left-chest pocket. For ease of movement, it includes a split back and pleated elbows. If you have any questions about this product by Carhartt, contact us by completing and submitting the form below. If you are looking for a specif part number, please include it with your message.